Vitamin D deficiency has been a hot topic in the media lately, and is associated with a whole range of maladies and health problems. But what’s all the fuss about? 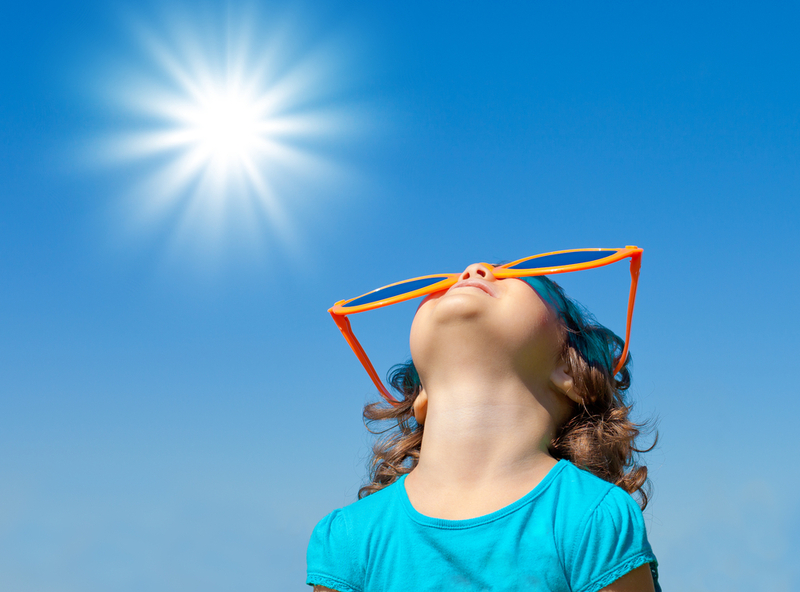 Vitamin D deficiency is more common than you might imagine. In a London antenatal population, vitamin D deficiency was found in 64% of Middle Eastern women, 58% of black women, 47% of Indian Asian women, and 13% of Caucasian women. This is because the more pigmented the skin, the less vitamin D is absorbed. Obesity is also associated with lower levels of vitamin D in both pregnant women and their babies, with 61% of women who were obese found to be vitamin D deficient. And although you may be someone who takes every opportunity to be out in the sunshine, when wearing sunscreen with factor 8 or over, the ultraviolet light the body needs to create vitamin D is blocked out. Without enough vitamin D the gut cannot absorb calcium and phosphate adequately, which can lead to a number of complications with both mum and baby. Lack of bone mineralisation, resulting in rickets, was one of the first problems associated calcium deficiency due to low levels of vitamin D. Rickets, though now on the rise, is still relatively uncommon due to the addition of vitamin D to common foods such as margarine and cereals. Research also suggests that although the deficiency may not be severe enough for the child to develop rickets, it does increase their risk of developing osteoporosis later in life. Adequate vitamin D levels are also associated with a lower risk of your child developing asthma and wheeze, due to its importance in the development in the baby’s lungs and the immune system. Not only that, but vitamin D deficiency was found to be much higher in babies that were small for their gestational age, and may even cause seizures related to low calcium levels. Vitamin D is also important for mum’s to be. It reduces the risk of developing pre-eclampsia, type 2 diabetes, bacterial vaginosis, and believe it or not, it also reduces your risk of having a caesarean section; though the reasons for this are unclear. So what can you do to increase you vitamin D stores? So the first thing to do is to get out and enjoy the sunshine! Sunlight exposure delivers the highest amount of vitamin D, while dietary sources are minimal in comparison, as there is little vitamin D that occurs naturally in the food supply. The amount of time you spend out in the sun depends on the type of skin you have, ranging from 10 minutes for very fair skin, to up to 30 minutes for darker skin. Remember to not wear any sunscreen for this time, but please don’t stay out for long enough to let your skin burn! Sunlight exposure is not without its risks, so little and often is key here. However, from mid October to April the sunlight in the UK is not strong enough for us to create vitamin D. Which leads us to the second point: take a vitamin D supplement. Your doctor or midwife may have already recommended this as part of the national guidelines, and it is already present in most pregnancy and breastfeeding multivitamins. Be sure to chose a supplement that includes vitamin D3 (cholecalciferol), rather than D2 (ergocalciferol), as the latter is the synthetic form and has less potency than D3. The dose is 10mcg (or 400IU) for most pregnant women; however some may require a higher dose. Speak to your doctor or midwife about the dose just to double check which may be best for you. Make sure to continue taking the vitamin D3 supplement while breastfeeding too, to ensure you and your baby’s bones and immune system develop properly. Remember to include food sources of vitamin D in your diet. These include oily fish (salmon, tuna, sardines, mackerel, anchovies), portobello mushrooms and eggs. Certain cereals, milk and juices are also fortified with vitamin D, but are not always healthy choices so be sure to check the labels and avoid anything processed and with added sugar.